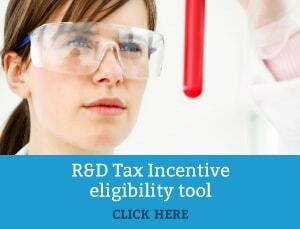 R&D entities are only eligible for a R&D Tax offset for R&D expenditure incurred by an associate entity if the expenditure has been paid during the claim period. If you incur an amount of expenditure to an associate and you pay the amount in the same year, you can include this amount when working out your R&D tax offset in that year (if you meet all other eligibility requirements for the R&D tax incentive). Paying an amount to an associate can include making a constructive payment, where you apply or deal with the amount on their behalf or as they direct. If an amount of R&D expenditure has been incurred by an associate and not been paid during the claim period, a company must determine whether to deduct the amount under general tax provisions, or forfeit a tax deduction and carry forward to claim as a R&D Tax offset in a future period when the amount is paid. To carry R&D expenditure forward for claiming in a subsequent year however, a general income tax deduction for the expenditure item must be foregone in the year that the associate R&D expenditure is incurred, though not paid. Companies should also ensure any associate entity R&D expenditure amounts have been documented and that the claim amount does not include any profit margin on intragroup charges. For the latest ATO guidance on this matter, please visit www.ato.gov.au.